Published: 2013-07-18, by Ana Gracia. 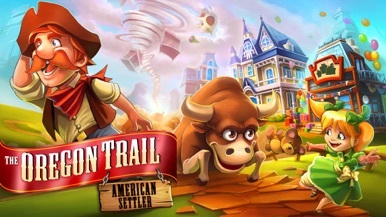 The Oregon Trail: Settler is an historic adventure set in Oregon where you need to settle down to start a new home and take care of your family, animals and crops. Your objective is to build a great town and be safe from the dangers that you and your family might encounter like a hurricane or a bandit attack. The main screen provides three basic options: your tools, which are located on the bottom right, your available resources on the top right and the list of tasks you need to do on the bottom left. First of all you need to select your character: Ma or Pa and follow the tutorial that introduces you to the game. 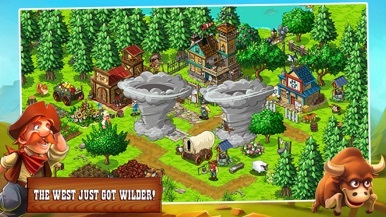 Then you will see the amazing graphics and smooth animations, as well as the storyline, which is rich and addictive. 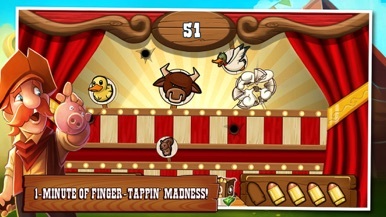 While you follow the story, you can also play mini-games in order to gather resources for later. If you don't like adventure casual games or management apps, this is not your kind of game but at the same time it's pretty different from others so don't hesitate to try it out. 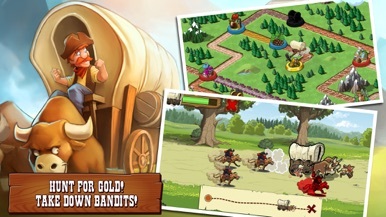 Gameloft is the developer of The Orange Trail and its free version. Both games are fun, addictive and have incredible graphics so we really recommend them. The language is adapted too, which is pretty interesting. 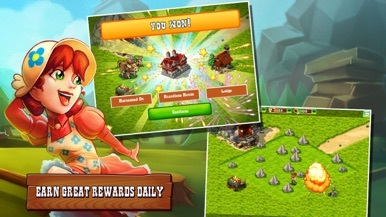 Gameloft's incursion into RTS genre. Real time strategy games landed shyly on mobile devices, mainly for a lack of touchscreens large enough to keep an interesting interface. However, nowadays some developers dare with that forsaken genre, and mighty Gameloft is one of them. Know in advance that Gameloft isn't reinventing anything (when has it done….